This Christmas we were wondering where to celebrate one of the most important holidays of the year. We were searching for something extravagant and unique. 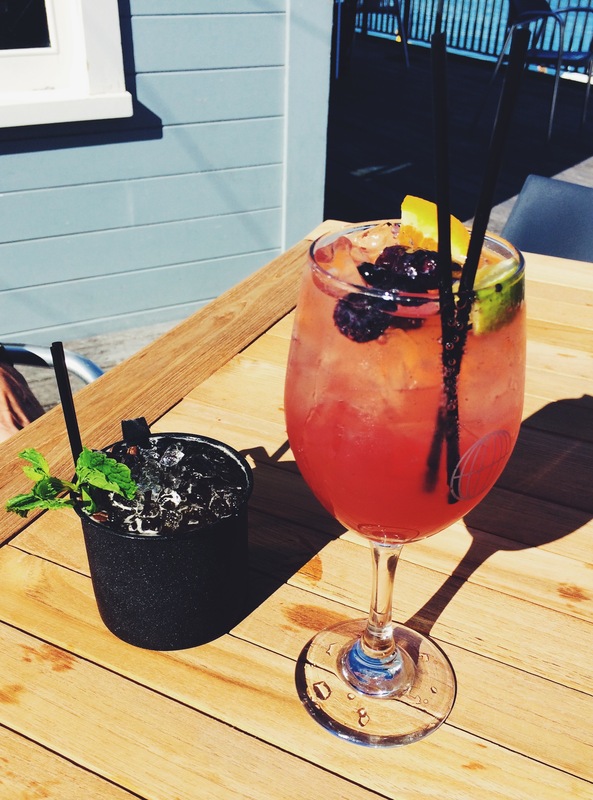 Wellington’s restaurants have a tendency to be very casual and ignore the etiquette of fine dining, but lucky us we discovered exclusive place, Foxglove Bar & Kitchen, in the ideal location: the heart of Wellington’s Queens Wharf. Nevertheless everyone is welcome and prices are acceptable as it may not initially seem so. Foxglove is all about mesmerizing design spread across two spacious levels. 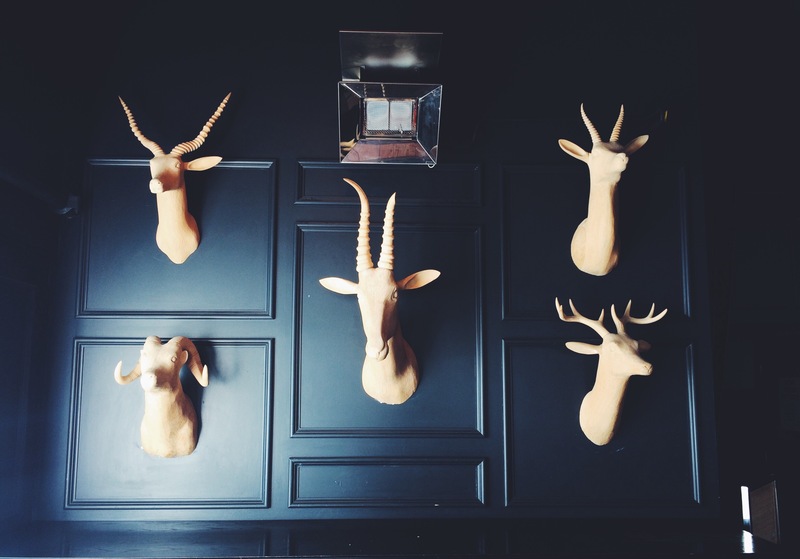 The bar and restaurant have a gorgeous vintage glamour look with it’s oversized couches and armchairs, an intimate corner with an open fireplace and a wall decorated with hunting trophies. Animal lovers shouldn’t be worried, because these trophies are not real but purely esthetic creations. Somehow you feel like being in a modern museum or Narnia, walking through the majestic wardrobe and exploring every square inch of Foxglove. The great and relaxing atmosphere is emphasized by friendly, discrete and thoroughly professional waiters and bartenders, who would love to help you with any request. Foxglove offers it’s guests the opportunity to enjoy Wellington’s rare sunny weather and ceaseless stunning view of the harbour on it’s deck. This is where we decided to clink our glasses to the Christmas spirit. The cocktail menu may appear short but here is an fondness for quality, not quantity. The presentation, size and taste of the cocktails is delightful for the surprisingly good price of $12. Insider: On Thursday all cocktails cost just $10 and tap beer $7. So it’s a great opportunity to enjoy after work and have a lovely chat with your friends. Our main reason for visiting Foxglove was to try it’s mouthwatering menu, so we decided to proceed to the dining room on the ground floor to our booked table. 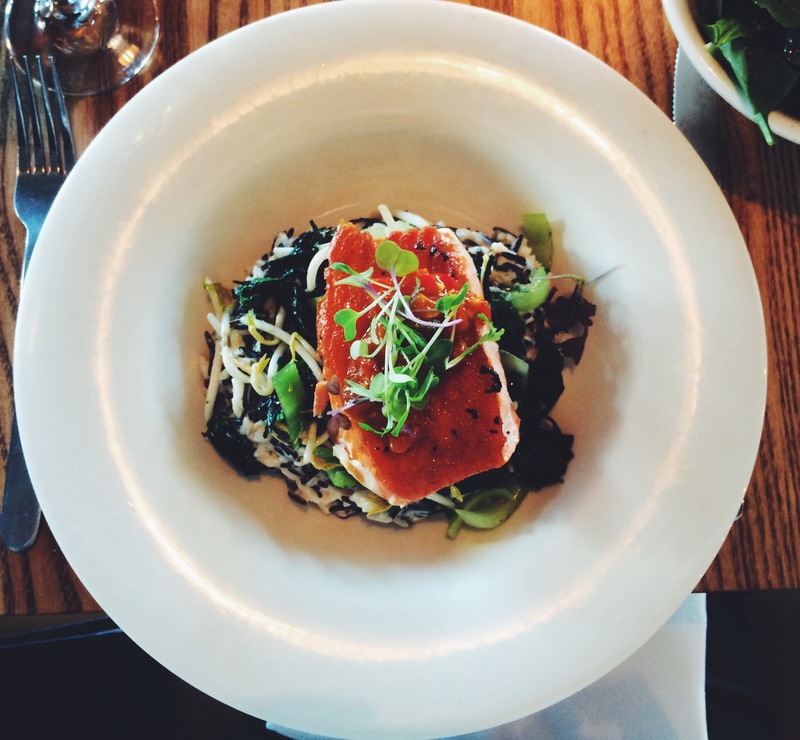 The choice fell on seasonal and locally sourced dishes: Panfried salmon, coconut & chilli wild rice, bok choy, black sesame, seaweed salad, chilli sambal $31 accompanied with house salad side $7. 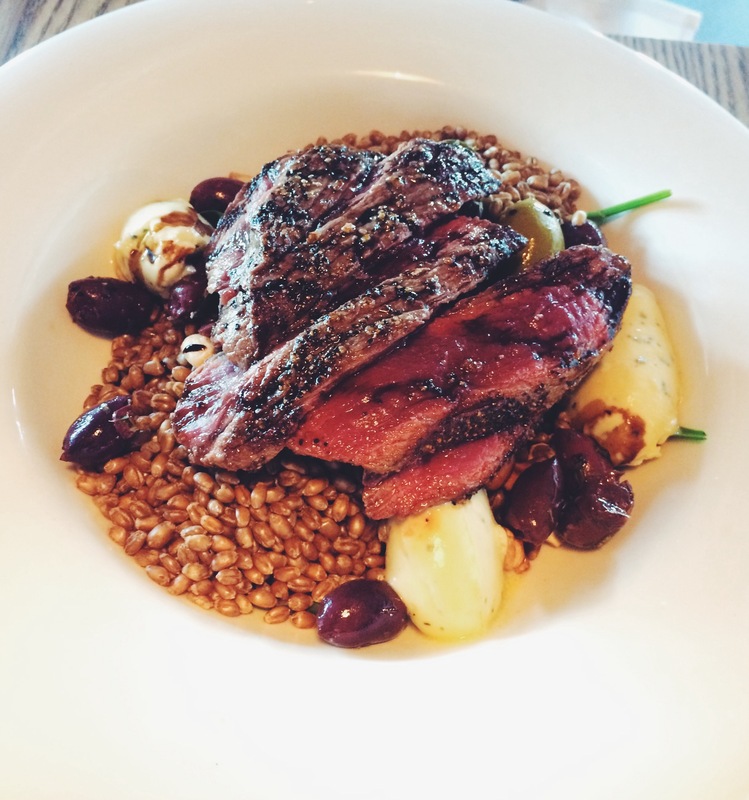 And the Seared venison, baby spinach, toasted cashews, marinated olives, freekeh, blue cheese dressing, balsamic reduction $35 with hand cut fries $10. Both dishes left us speechless with big happy smiles on our faces. The salmon was juicy, fresh and not bathing in oil, which can happen pretty often with this kind of fish. The spicy sauce emphasized the meal’s savoriness. The meat was done on point keeping the red colour in the middle of every piece. Both dishes were not only rich in flavours but served in magnanimous portions. All in one it will keep every gourmet and foodie happily fulfilled. 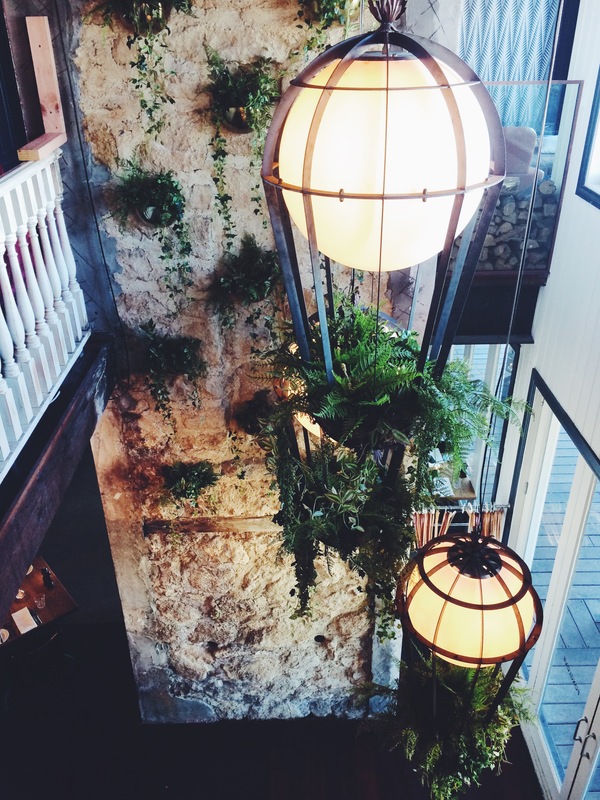 Foxglove is definitely a marvelous place to impress your date or celebrate a special occasion. Withal, if the menu is too high priced in your opinion, Foxglove is still a great choice to come and have a coffee or delicious cocktail and enjoy the sweeping harbour view. So don’t forget to treat yourself sometimes!